Born: 1897, Needham Market, Suffolk. Died: 20th July 1916; age 19; KiA. 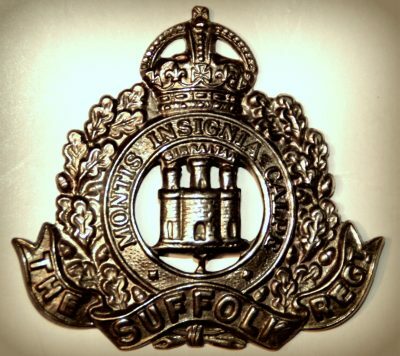 Regiment: Suffolk Regiment, 4th Battalion, ‘D’ Coy. Relatives Notified & Address: Son of Emmanuel James & Esther Abbott, of 21, Cavendish Street, Ipswich. James was 4 years old and living with his mother, brother, maternal grandfather & aunt. Esther Abbott (nee Francis), 28, born Needham Market, Suffolk. George William Abbott, 6, born Needham Market. William Francis, 71, born Needham Market. Bridget Abbott, 23, born Ireland. James’s father was away with the Royal Navy at No.21 Buoy, Sheerness Harbour, Kent. Emmanuel James Abbott, 28, born Ipswich. Crew member of ‘Edinburgh’ a Battleship 2nd Class. 1911 21, Cavendish Street, Ipswich. James was 14 years old, a Baker’s Assistant – Bakery. He was living with his parents & siblings. Emmanuel, 38, a General Labourer – Implement Maker – General Engineers. George, 16, a Warehouse Porter – Printing Warehouse. Esther Elizabeth Abbott, 9, born Needham Market. Charles Edward Abbott, 7, born Ipswich. James is also remembered at St. Clement’s Congregational Church, Ipswich & Holy Trinity Church Memorial.